“Robots will care for 80% of Japanese elderly people by 2020.” I read this in the news over breakfast early February. A Google search showed that it was content from news agencies. La Vanguardia,The Guardian, El Español and a long list of other media presented similar content. I hooked on the issue and decided to continue reading…This was already being discussed three years ago, although under different strategies. The phenomenon does not affect Japan only. The world’s population is aging and this is changing the game. Europe is also working on this through research framework programmes. Sometimes stories intertwine. This has been the case with Óscar Belmonte, Professor at the Computer Languages and Systems Department of the Universitat Jaume I in Castellón (Spain). 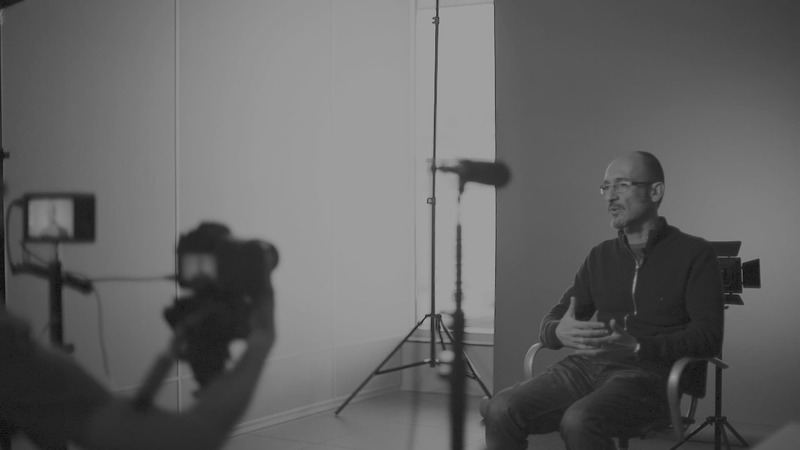 Last week I had the pleasure to interview him together with David Hernández (Cuatroochenta’s Head of Communications), during the recording of the first Video Tip 480, for technological dissemination purposes. It turns out that Oscar is working on the Senior Monitoring project, which received the On Social PARCTEC award last year, and which will integrate the Start UJI program of the Universitat Jaume I of Castellón (Spain) in March 2018. The project is the result of the cooperation between the Computer Languages and Systems and the Educational, Social and Evolutionary Psychology and Methodology Departments, led by researches Óscar Belmonte and Antonio Caballer. Senior Monitoring has an interesting approach. It monitors and studies dependent elderly persons’ behavioral patterns at home. Alarms are set off whenever a behavioral change is detected, as it can be interpreted as a worrying symptom. How is this done in practice? The monitored person will be wearing a smart watch allowing traceability at home at all times. As GPS signals don’t reach homes, another innovative aspect of Óscar’s research group is the use of domestic Wifi networks (our own and our neighbors’) to trace locations and “map” spaces, routes and behavior through data inference. Once this is achieved, a behavioral pattern model with learning techniques is created. Variations in this pattern mean that something is happening. The system can be applied to the population in general, although it can be used most effectively on elderly people, who are often on their own and for whom decreases in capacities are harder to detect. So far, decreases are detected through questionnaires provided on a weekly basis by healthcare systems (doctors, nurses, psychologists) to people subject to monitoring, with questions on how they feel and whether they notice any changes or specific situations that may indicate deterioration. Reliability is relative, because factors such as memory loss, distant memories, changes in perception of situations, etc. may overlook symptoms pointing to variations in medical conditions. There is ample evidence about ICT benefits on areas such as the independence, autonomy, security and participation of elderly people. The research project will target people over 55 (yes, you read correctly!) in order to include baby boomers (born between 1957 and 1977). The reason behind is the substantially different approach to technology from people that age. An added benefit of implementing this system is reduced stress levels for those in charge of elderly people or for family members who are unable to be by their side at all times. On the one hand, a well programmed chatbot, associated to the application that Belmonte and his team are developing, will allow those in charge of elderly people to have a second opinion instead of bearing the full burden of the elderly person’s daily evolution. These changes are often so gradual that, by the time we notice them, crucial time has been wasted regarding early detection of degenerative diseases such as Alzheimer’s or professional prescription for a change to medication not achieving the expected results in the patient. Regarding caregivers or family members who are unable to care for the dependent person throughout the day, relying on the fact that an alarm will set off when something goes wrong and that a conversational chatbot is going to help them and is going to collect more data (even if they have no clue about technology), will allow them to avoid the stress and regret derived from not caring for their loved one as they would like to. On the other hand, during the recording of the video tip, Professor Belmonte also explained about another initiative he is engaged in, together with Reyes Grangel, Mercedes Segarra, (UJI teachers) and Sergio Aguado (co-founder and CTO of Cuatroochenta). He referred to the MIT4 project, which seeks to “generate a learning context to guide students to undertake their own projects to create technology-based companies“, within a cooperation framework between the University and companies, which will enable the transfer of results from a theoretical to a practical level. In the MIT4 cooperation context, five Computer Engineering and Computational Mathematics students (Alejandro Gas, Roberto Bernard, Adrián Picazo, Daniel Dinu and Nahuel Olivera) in the Universitat Jaume I in Castellón have joined Cuatroochenta’s development area. They have all followed the MIT4 training and will do their traineeship based on own projects and specific missions under Sergio Aguado’s supervision, for development research with four different technologies: React Native, 3 Symfony, Chatbots and Big Data.